Samsung has been developing foldable display technologies for many years, and it seems that a foldable phone/tablet is always just around the corner. Samsung is getting closer to a commercial release, though, and earlier this month Samsung's Mobile Business group President says that it hopes to have a foldable phone in the market in 2018. One of the interesting questions is what kind of device will Samsung launch? In 2016 we heard that Samsung is developing two basic device types - a phone that turns into a tablet and a phone that turns into a smartwatch. The focus currently seems to be on a phone/tablet device. But will it be out-foldable or in-foldable? 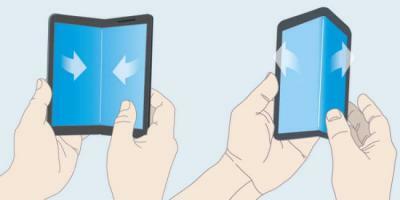 An out-foldable device is the more exciting one - as it will also have a display when closed. The in-foldable device will need an external display, at least a basic one. 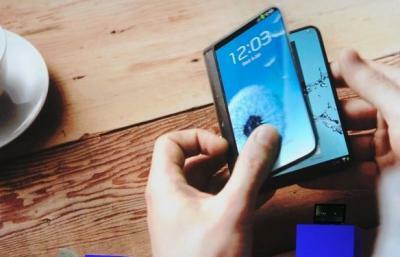 But the out-foldable device is more difficult to make. According to ETNews, after years of focusing on an out-foldable device, Samsung recently decided that its first foldable device will be in foldable. It may be that Samsung wants to release the device now as it wants to fight Apple's OLED iPhone and provide an even more desirable smartphone. Samsung's aims to have a device with a curvature radius of 3 millimeters. It still has technical challenges, but it hopes these will be solved by the time it launches its next Note series, which may indeed adopt this display at least for a high-end premium model.